Note From Keri Lyn ~ I just wanted to mention how thrilled I am to have Eileen guest posting this series on the blog! Eileen has been a dear friend for several years. She is an amazing mom and honestly THE very funnest person to visit Disneyland with. 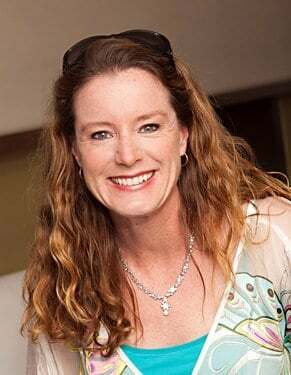 I love her passion for protecting our kids and families in social media and I am SO thrilled to have her sharing her expertise here weekly with all of us! Hi there! My name is Eileen Calandro and I’m thrilled to create content for She Saved readers once a week. (Thank you, Keri Lyn!) I’ve been teaching classes about parenting kids on social media for years and also enjoy doing assemblies about being good digital citizens for elementary school kids. I used to teach first grade before I had my three sons (it’s not just a television show from the 60’s) and recently worked in social media as a community manager for six years. Now I’ve combined my love of teaching and social media into creating my classes and assemblies. I write like I talk -and I talk a lot! (I listen, too. Life’s all about balance, right?) I hope this weekly conversation offers you helpful information about parenting your digital citizen and ways to connect with your kids about social media. Some kids want to act like spending time on social media is just like hanging a massive sign on their bedroom door with the words “KEEP OUT!” written on it. They want social media to be their own personal space. 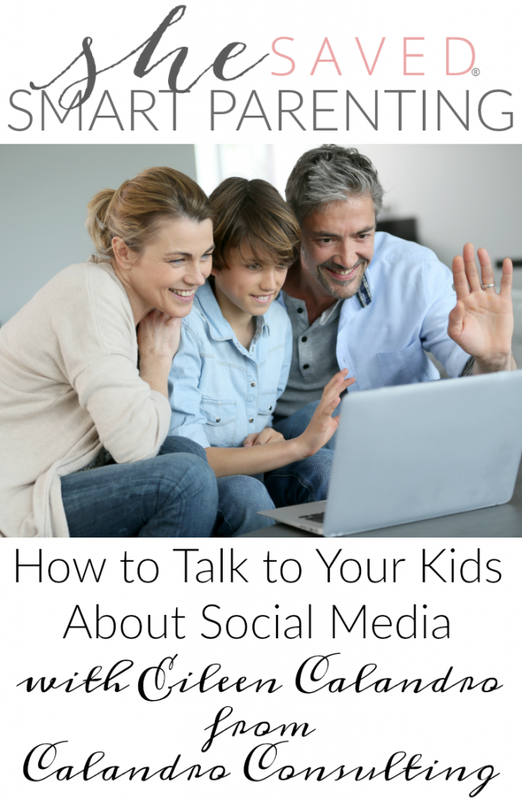 But the fact of the matter is, it’s not always a safe space, so today I am going to share with you my thoughts on how to talk to your kids about social media. Parents know the world of social media is the last place we should “keep out.” Social media allows our kids to communicate with friends and the rest of the world in ways that seem impossible to imagine even ten years ago. These countless connections make social media enticing and all-encompassing. This also makes it a massive arena to try to parent in. We know the dangers and we read the headlines. We want our kids safe, but kids want parents to leave them alone. What should parents do? One thing to do: talk. Start talking, keep talking, and don’t stop talking. And listen (of course!). But maybe kids don’t want to have a conversation. “I know, Mom!” shuts down a conversation quickly, right? Of course they ‘know!’ Kids can feel like social media exists as their area of expertise and parents can’t possibly understand it. They say they know the dangers and how to behave there. Imagine social media as a foreign country. Certain experiences can only happen there and it uses different words to create its own language; the apps look like they could be the flags for each land and places you travel online all seem a little different from one another. Most important of all – your kids live there! You certainly wouldn’t send your kids to Europe alone. You probably wouldn’t even take a trip there on a family vacation without learning a bit about the country (or countries) where you would spend time. You would want to learn some key words and phrases, you’d learn how to get around and what to see, and you would especially want to know the customs and social rules for experiencing this new culture and place. Explain to your kids you want to be on social media and understand it because they live there for a period of time every day. Just like if they were spending a large chunk of time in a land that was geographically far away from you, you would want information about this place or you’d even insist you travel with your kids. Of course every conversation isn’t one a parent needs to hear or read. Think of what most thirteen-year-olds talk about –these talks can stay private. But we know what other conversations and what else can happen on social media or that our kids can talk with people we want them to stay away from. These situations give parents the reason to get on social media and have important conversations like this one. The ways we know social media can hurt our kids motivates us to prevent that KEEP OUT sign from going up when it comes to online behavior. The next time you see that sign waving in your direction, think about the foreign lands where our kids travel online and how you want to know their destinations. Who knows? Maybe presenting this to your kids will open up the opportunity for them to guide you into a world they know a lot about. Let them take you on a tour and see where you end up. Keep being amazing, connected parents and helping your kids be good digital citizens! If you are looking to learn more about and to stay up to date on the latest social media happenings and trends, especially where kids are concerned, then I highly encourage you to follow Eileen in social media! « Bryce Dallas Howard Interview: Dragons, Disney and More!